King Scaffolding | Providing safe structures to the all industries. King Scaffolding has been built with honesty and hard work. Our goal is to help companies build their projects and reputation through our professionalism, innovation, fair prices and hard work on the jobsite. King Scaffolding appreciates any opportunity given. We have performed high volume projects but also appreciate the small jobs as well. We are here to help in any way possible. Do not hesitate at any time to pick-up the phone or shoot us an email to express your needs. 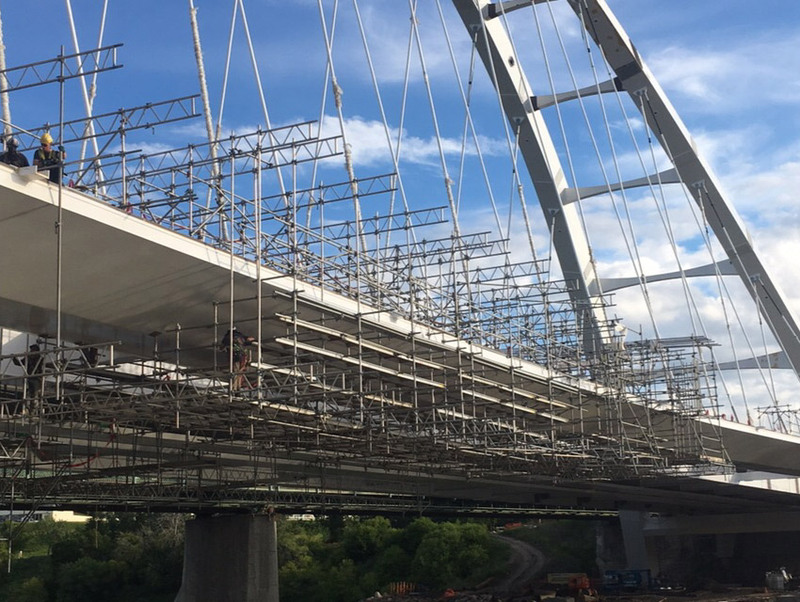 Our skilled scaffolding tradesmen bring a variety of experience to the King Scaffolding team to ensure the product we deliver is a safe and effective solution for each project. The value of quality work done right the first time is priceless. 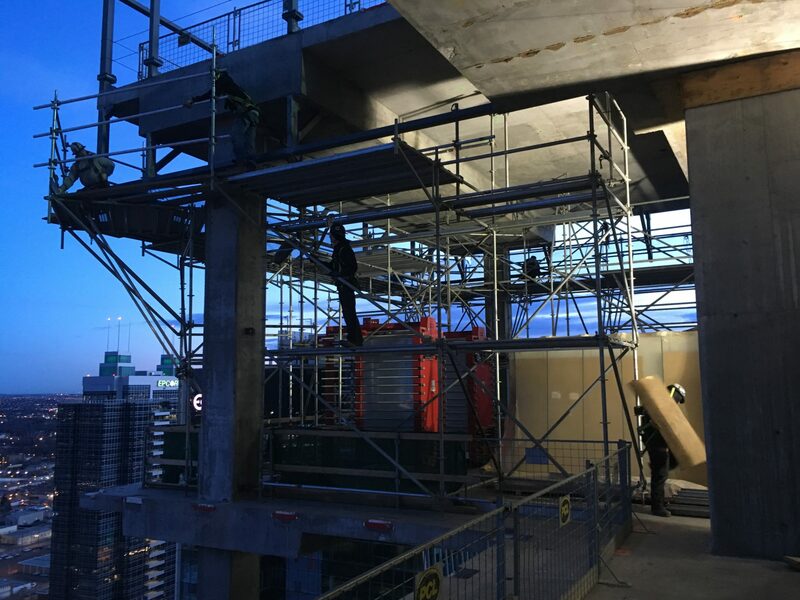 The scaffolding solutions we offer provide a safe work area for other trades to complete their work in a safe and efficient manner allowing for the greater success of all. Our innovative initiatives have been highly valued to assist out clients with solutions and budget savings on industrial sites. King Scaffolding scaffolded the bridge and added shoring which helped get the crew working on the project whenever the work needed to be done. 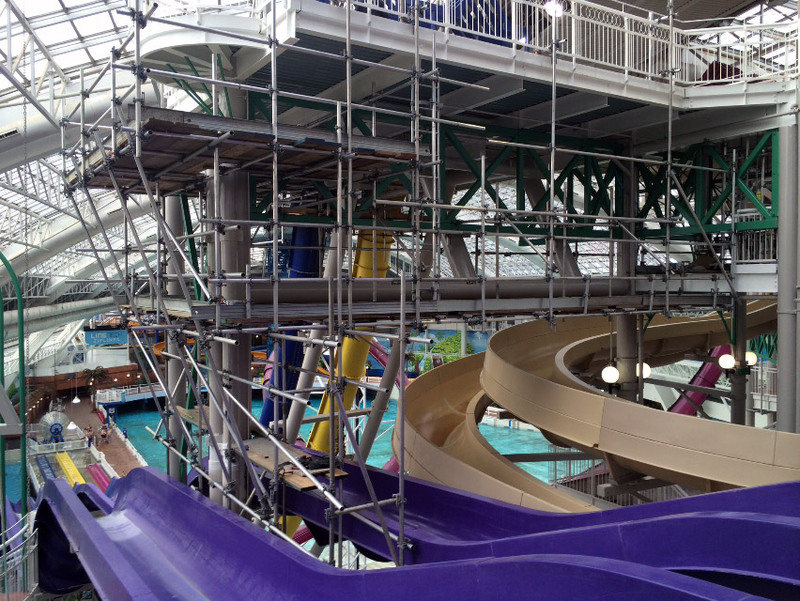 When West Edmonton Mall needs to repair some aspects of the Mall (Waterpark, Interior Structures) they contract King Scaffolding to erect safe, effective scaffolding. Our team has vast scaffolding experience in industrial, residential and commercial scaffolding to bring to your company. 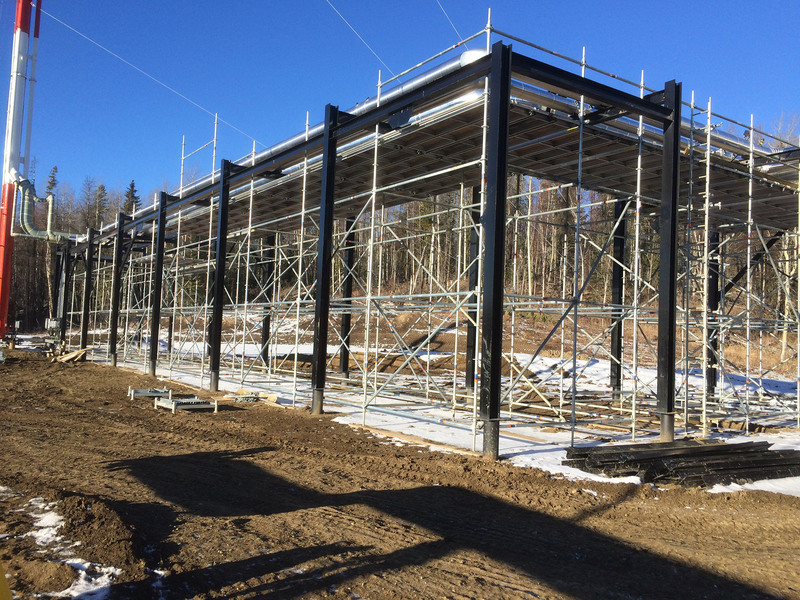 King Scaffolding has the ability to manage small and large projects that require various manpower requirements. We provide all the labour and materials needed for your job. We use our expertise and innovative ideas to find the best solutions for our clients.